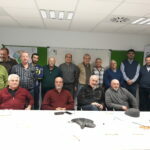 On January 14, Geoalcali received to its facilities in Pamplona a large group of miners, former Potasas de Navarra workers. In a relaxed and enriching atmosphere, the former Potasas workers, mining professionals and deep connoisseurs of the sector, showed an enormous interest in the Mina Muga project and in the mining work that its development will entail in the operations phase. 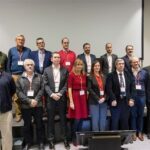 For his part, Geoalcali’s Facultative Director, Gonzalo Mayoral, answered the audience’s questions and gave a general presentation of the company, contributing with his knowledge of the new techniques and methods of exploitation of modern mining. 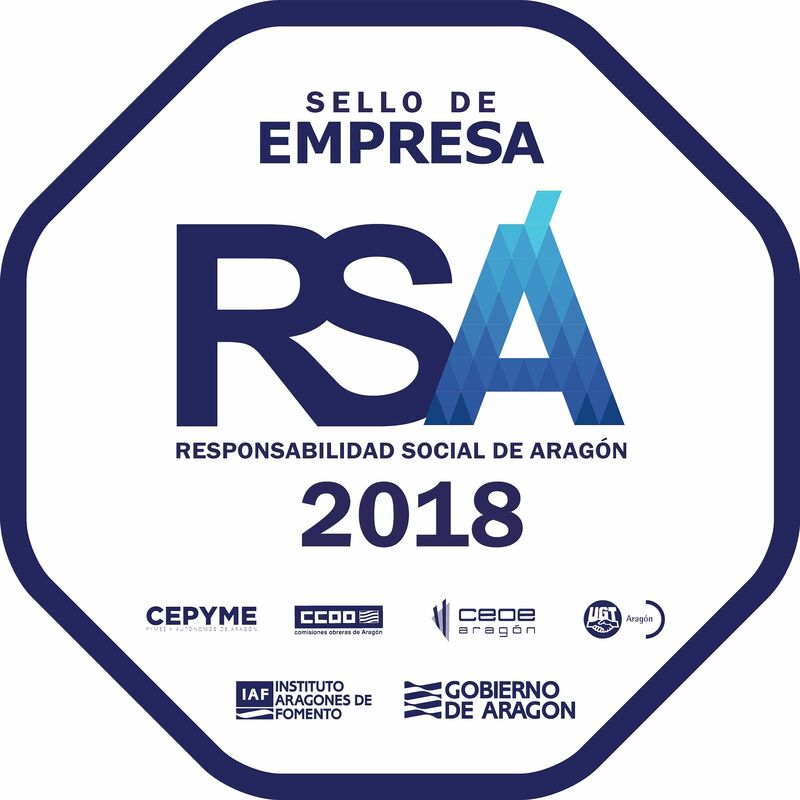 Similarly, the Head of Human Resources, Javier Olloqui, commented on the employment expectations that the project offers and the repercussion in terms of wealth and development that it will have for the area. The initiative arose last December 4, on the occasion of celebration of the Day of Santa Barbara, in Beriain. That day, in which Geoalcali has actively participated for several years, served to strengthen ties and confirm the enormous interest that the workers of the old Potasas mines and their families have in the new potash mining project promoted by Geoalcali. Both parties were very satisfied with the outcome of a meeting which, as the miners themselves pointed out, will continue in new meetings that will serve to exchange experiences throughout the development of Mina Muga.